Has it ever struck you how many memories a tune can carry? Maybe you’ll always remember a song you heard on the radio all the time as a child, or the theme music from your favorite TV show, or a hymn that you used to sing often in your home church. I know my mind will always connect snippets of music from the radio with various times and places. I’ll always associate Psalter Hymnal number 301, “Hallelujah, Praise Jehovah,” with the heartfelt singing of the small congregation at Messiah’s Reformed Fellowship in New York City, and I’ll never forget hearing number 298 played on the wheezy old pipe organ at Christ Reformed Church’s former worship location in Washington, DC. These musical connections may be small, but they stay with us for a lifetime because of the memories with which they are associated. Should any music be utilized in worship so long as it is well-written? Or should the church use only music that it has composed for itself? Should the music of the church be a response to the emotions of the singers, or should it actually evoke emotion in the singers? What characteristics of a melody like this make it more emotionally inspiring than other hymn tunes? Do we just recognize the context in which the tune is so often used, or is the musical structure itself responsible? What is detrimental about an overly emotional worship “experience”? If “secular” music is to be adapted for worship, what criteria should be in place for selecting and/or modifying it? As you might expect, these questions have been floating around for centuries. Arguments, stories, and miscellaneous tidbits of information have all been thrown about at will. My goal is not to revisit such old battles, but to remind all of us that we should give serious thought to how we worship God through music. If our desire to follow God’s directions for worship is sincere, there is no doubt that this discussion will be fruitful. With that said, I hope you’ll feel free to offer your thoughts on these matters! We find ourselves being very comforted and encouraged by the fact that just as is true for physical seafarers and sailors—as they must at times sail the high seas, and can literally become paralyzed by fear by the storms which they are facing—so too for you and me: spiritual sailors and sea-farers, if you will, who must at times pass through the storms of life. We too must learn to personally, and passionately, and persistently cry out to the God who alone is able to bring us once again safely into harbor, thereby bringing great honor, glory, and praise to his most high and holy Name. For…we are going to find that this is surely his way in the storm. Occasionally I listen to a sermon or two during the week via the internet. This particular sermon, entitled “His Way in the Storm,” was preached by Rev. Rich Kuiken at the Pompton Plains Reformed Bible Church (URC) in New Jersey. The text under consideration was Psalm 107, a Scripture that has since become one of my favorites. I’ve always found that psalms with refrains like this drive the message home powerfully for me. Some of my favorite psalms with refrains are 57 (“Be exalted, O God, above the heavens!”) and 99 (“Holy is he!”). Similarly, Psalm 107 has become a very personal reminder for me as I encounter the storms of life and look for God’s way in them. Although neither time nor space permits us to look extensively at all six settings of Psalm 107 in the Psalter Hymnal, I’d like to at least give a brief overview of the various versifications. These five songs form a complete versification of Psalm 107, originally appearing in the 1912 Psalter in much the same form. The meter of the poetry (7.7.7.7.7.7.) makes the settings compatible with many familiar hymn tunes, like TOPLADY (“Rock of Ages”) and DIX (“For the Beauty of the Earth”). The tunes used here in the Psalter Hymnal are fairly easy to learn and sing, although BREAD OF HEAVEN (216) has some unexpected intervals and ROSEFIELD (215) has a tendency to run along at a rather quick clip. Overall, though, these tunes are solid and easily sung. With regard to the three ideas contained in the Scripture passage, this versification leaves much to be desired. (1) The text acknowledges the rebellion of these men, but it doesn’t specify that their rebellion is against the words of God and the counsel of the Most High—an important detail, in my opinion. (2) There is no indication that the suffering of these men was directly inflicted by God as punishment for their rebellion. (3) The fate of the rebels is only included at the end of the stanza, where we are told simply that they “fell”—and again, no direct connection between sin and consequence is made. Yes, the basic Biblical message is preserved, but the content of the psalm is sadly muddied by this versification. Although I can’t contend that these settings are Scripturally inaccurate, it’s a shame that they form the only complete versification of Psalm 107 in the Psalter Hymnal. This versification is significantly better than numbers 212-216, but unfortunately, it only treats vv. 1-9 of the psalm. Still, the text is fairly solid (though paraphrased), and the tune, GOSHEN, is very fitting. The German melodies of the Psalter Hymnal, like this one, are often some of the most suitable and well-composed tunes in our repertoire. If you’re looking to sing a rendition of Psalm 107, this is an excellent choice, even for an unfamiliar congregation. After listening to that sermon by Rev. Kuiken, I grew to appreciate Psalm 107 so much that I even made an attempt at a new versification of it based on the ESV text. The result was a fifteen-stanza setting in 10.10.10.10.10.10. meter, to be sung to the tune YORKSHIRE (Psalter Hymnal number 346). For your interest, I leave you with a few stanzas from this setting of my own. If God so wills, maybe it will even be used in worship someday. But for now, through the stormy seas of life, I need to keep reading Psalm 107—because, like the psalmist, my attention needs to be focused and re-focused on the steadfast love of the Lord. For he has shown his wondrous works and ways! Let them sing praises to the Lord above! With good things he has made the hungry whole. Loathing their food, they soon would end their days. And he delivered them that very hour. Them from destruction God the Lord did save. Whom he has gathered in from every way. The steadfast love of God consider well! Today I’m going to deviate a little bit from the topic of music, and share with you my reaction to the most recent meeting of one of the classes of the URC. It’s a long story, but I hope you find some encouragement in it. It was dark and damp on Long Island as five of us piled into a minivan on a Friday morning at five o’clock and set out on a journey for Middletown, New York. Four other men and I were heading to the spring 2012 meeting of Classis Eastern US at the Hudson Valley URC. On the agenda for the meeting was a variety of topics, but the main focus of the session was on one theme: church planting. The ride was quick and uneventful. Leaving the Island on a weekday morning is risky; the only routes of exit are through New York City, and arriving in the city any later than 7 am would inevitably land us in heavy traffic. We had worked out our plans to a pretty exact science, however, and by leaving at five o’clock instead of seven, we managed to complete the 120-mile trip in almost exactly two hours—and, as a bonus, we had time for conversation over a leisurely breakfast at a Middletown diner once we arrived. The Hudson Valley United Reformed Church is only a few minutes out of town, surrounded by orchards and old farm buildings on quiet County Route 12. The church building is only about five years old—so new that its lower level, which will contain spacious classrooms and a fellowship hall, is still under construction. The architecture of the church is beautiful. Upon arrival, despite the gloomy, misty weather, our group spent the remaining half-hour before classis taking pictures of the building and its scenic location. At 9 am, the meeting began. Rev. Steve Arrick, pastor of the Zeltenreich URC in Lancaster County, Pennsylvania, led opening devotions on Matthew 9:37, 38, where Jesus instructs his disciples, “The harvest is plentiful, but the laborers are few. Therefore pray earnestly to the Lord of the harvest to send out laborers into his harvest.” (ESV) Relating this passage to the pertinent topic of church planting, Rev. Arrick urged all the elders and pastors not only to be constant in prayer for the growth of God’s Church, but to be actively working to further that growth. Following the opening prayer, the delegates sang a Psalter Hymnal selection. There couldn’t have been a more applicable hymn than number 405. The opening devotions having been concluded, the official meeting began. During the classis session, we heard a great deal of encouraging news. Throughout the federation, the United Reformed Churches are making concrete steps to further church planting in a steady and orderly fashion. Seminarians like Mr. Sam Perez from Messiah’s Reformed Fellowship (URC) in New York City are eager to become involved in planting more churches in the heavily populated parts of the East Coast. Some funds are already in place for these projects. Churches such as an independent Reformed congregation in Pennsylvania are looking to join our federation. Visiting the classis meeting were three fraternal delegates from the OPC (Orthodox Presbyterian Church), who heard the URC’s reports with joy and shared their desire to see greater fellowship between the two denominations. By God’s grace, the United Reformed Churches are continuing to grow—slowly but steadily. God’s faithfulness in the past was another focal point at the meeting. 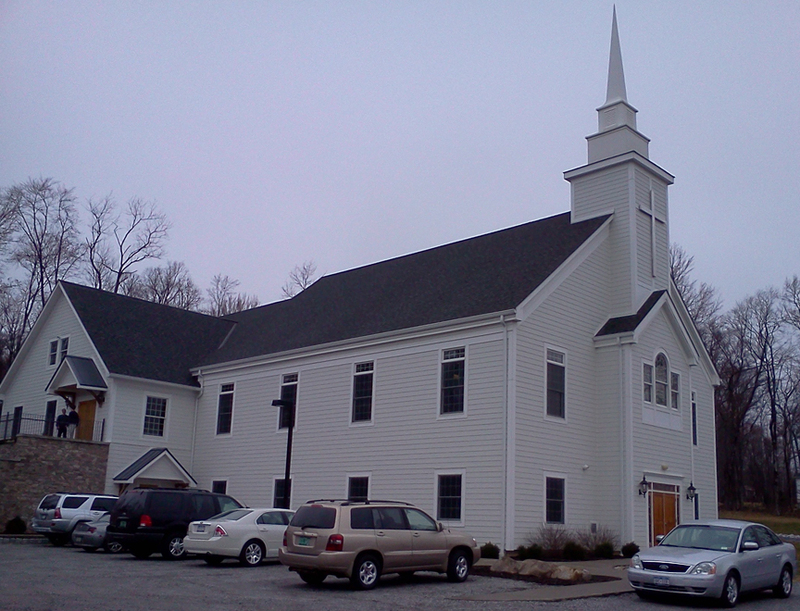 Last year, the URC in Lancaster had the unique opportunity to merge with an old German Reformed church in the same area of Pennsylvania, doubling the size of their congregation and obtaining a permanent worship location in the process. Messiah’s Reformed Fellowship in New York City recently joined the URC as an official, independent congregation, and not only are they making plans to establish a church plant of their own, but God has also provided the means for them to worship in a real church building for the first time in their existence. The elders of the Newton URC in New Jersey reported the recent growth of their own church with thankfulness: although their services were poorly attended just a few years ago, their sanctuary is now filled to overflowing on Sunday mornings. Office-bearers led the classis in prayers of thanksgiving after each of these reports. The delegates’ joy was tangible at witnessing God’s lasting faithfulness to his Church, in old and young congregations alike. During the fellowship breaks that split up the meeting, I met a few new faces and caught up with some of the office-bearers I already knew. We talked about many different things, but a single thread ran through all the conversations: a fresh, revitalized perspective and a hopeful eye on the future of our churches. One of the elders encouraged me to keep coming to classis meetings, adding that he loved the fellowship himself and hoped his own children would also come in the future. I spoke to multiple people about the immense benefit of these sessions, especially for me as a young URC member, and our display of the heavenly unity we enjoy as God’s family—regardless of geographical separation. And even among the older elders I met, not one had a discouraged outlook on our federation; all were optimistic and forward-looking, rejoicing in the gracious providence of God. The only part of the day that approached sadness was the moments right before everyone’s departure. The old hymn describes it well: “When we asunder part,/It gives us inward pain,/But we shall still be joined in heart/And hope to meet again” (number 447). As we piled into our car again and headed back to Long Island, the sun had just broken through the clouds and was illuminating the foothills in awe-inspiring light. Two words come to mind as I reflect on this classis session: innovation and renovation. Innovation is the creation of new things; renovation is the restoration of old things—making them as good as new. Both ideas were abundantly evident at this meeting. Maybe the drastic change in the day’s weather, from dark gloom to radiant light, is an appropriate picture of the lesson I learned. It’s so easy to let ourselves be deceived into hopelessness regarding Christ’s Church. Evil is everywhere, sin is rampant, and our world is becoming increasingly hostile to Christianity. Within the orthodox Reformed community, our congregations appear wracked with low attendance and decreasing funds, with outward pressures and inward strife. What does God have to say about this? Should we jump ship while we can? No—Jesus said, “On this rock I will build my church, and the gates of hell shall not prevail against it” (Matthew 16:18). We need not doubt. Yes, in our sin-cursed world, God’s people will endure trouble and affliction. But we can have faith that right up to the end, though the earth be removed and the mountains cast into the sea, our steadfast God will preserve and increase his glorious Church. It’s rare to find a psalm full of proverbs, but Psalm 49 is a notable exception. Usually classified as a “wisdom psalm,” this song offers an unflattering but realistic perspective on human life and death. Twice, in verses 12 and 20, the psalmist reminds us that man without understanding is “like the beasts that perish.” For those who trust in the vanity of riches, the text paints a sadly bleak outlook. But Psalm 49 doesn’t leave the believer without hope; instead, the writer confidently asserts, “God will ransom my soul from the power of Sheol [the grave], for he will receive me” (v. 15). So “why should I fear in times of trouble, when the iniquity of those who cheat me surrounds me, those who trust in their wealth and boast of the abundance of their riches?” The Christian rests in the comfort that, regardless of his earthly standing, God is his ultimate Judge and Protector. A single setting of Psalm 49 is included in the blue Psalter Hymnal, but it is split up between two different selections. The first nine verses are taken up in number 90, “Hear This, All Ye People, Hear.” A quick comparison between the KJV and the ESV shows that the text of this setting closely matches the older KJV, but has a few slight differences with the ESV. Nevertheless, the words are Biblically sound and easy to understand (with the possible exception of “lyric strain” in v. 2). The tune, FISK, has a suitably haunting melody line. Though the frequent melismas (single syllables held over multiple notes) could confuse unfamiliar singers, the tune should be easy to learn. If your congregation can’t reach that high F in the second line (and who would blame them? ), you can easily drop the key to E-flat instead. Continuing the remaining eleven verses of Psalm 49, this selection is Scripturally sound, just like number 90. Again, there are a few minor differences between the ESV and this setting, but these are apparently just the result of alternate translations from the Hebrew. For instance, the second half of the first stanza contains the idea that “within their heart they say/That their houses are for aye.” This same idea appears in the King James Version, but in the ESV this passage is rendered instead as “Their graves are their homes forever, their dwelling places to all generations.” A few little discrepancies like these exist, but none harm the central theme of the psalm. And while the phrases at the very beginning and end of this selection—“Dust to dust” and “Highly gifted, strong, and free”—are not found in the original text, they provide a very fitting envelope to the song. The only challenge to the tune, WATCHMAN, is to find the right tempo. Play too slowly, and the musical lines become shapeless and boring; play too quickly, on the other hand, and you’re left with a spunky little jig that doesn’t fit the weighty subject matter of the psalm at all. I’ve found that a tempo of 60 bpm to the dotted-half-note seems to flow well. While these two songs are more philosophical than worshipful, their message is often a much-needed reminder for us. Psalm 49 comes to my mind day after day as I see the world’s constant accumulation of wealth. It is all too easy to forget that though “within their heart they say/That their houses are for aye,” before long all the world’s beauty will, indeed, turn to dust. But then, like the psalmist in vv. 14-17, I am also reminded of the Christian’s eternal, imperishable comfort in our God and Savior.